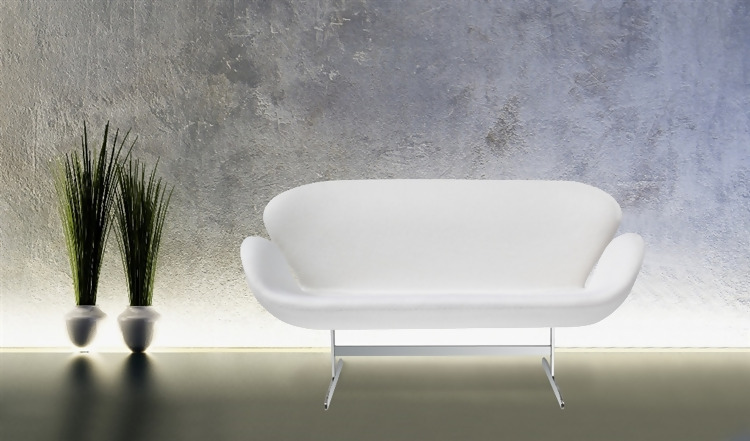 The Swan Loveseat features a simple, yet effective design. The unique structure and smooth shape visually relax the space. The peace is equally appealing not only when viewed from the front. The side-look reveals the elegant, swan-shaped line that gives dimension and depth to the scene. While the lack of additional details only highlights the unique shape of the Swan Loveseat, the aluminum legs provide a touch of shine that’s welcome in every elegant design. 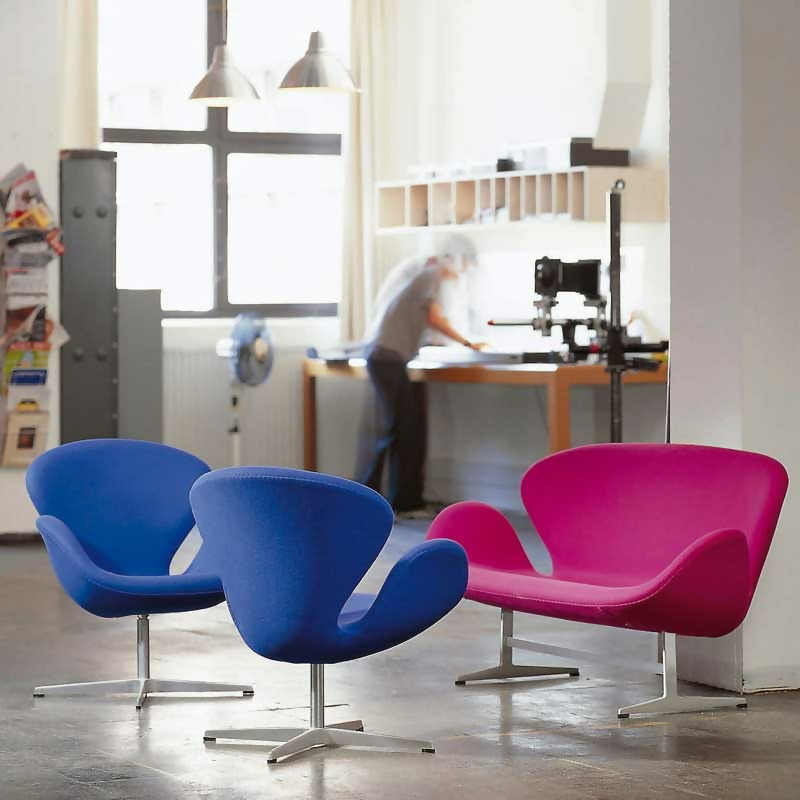 Available in a multitude of colors, the Swan Loveseat carries out the loudest of colors, like green, blue, purple, or red. If you appreciate vibrancy but fear that the bold colors will be hard to work with, the Swan Loveseat is the right choice. 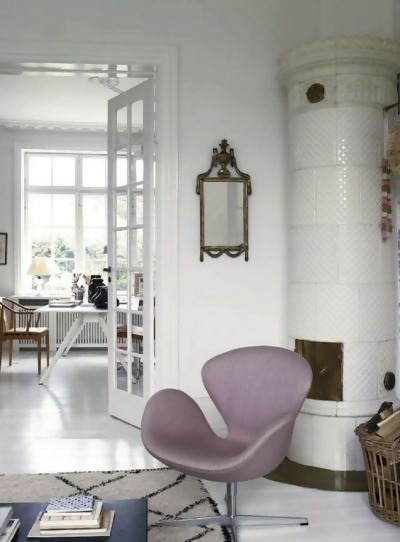 Thanks to its soft, rounded shape and the simplicity in structure, you can include bright colors into your interior and feel safe that they’ll fit well with the surroundings. A Swan Loveseat is a great accessory to update your rustic interior. Although the style of the seat is modern, the simplicity of its design makes it highly versatile and adaptive to a multitude of styles. If you like to mix old and new and contrast traditional intricacy with modern boldness, trust the Swan Loveseat to do the job. One of the ways to make your interior more dramatic and formal is to contrast your light, pastel-themed base with a set of dark Swan Loveseat furnishings. Without creating a heavy look or stuffing the ambiance, the setting will add just the right amount of seriousness to space. On the other hand, the softness of the form will preserve the lightness and comfortable appeal. The sitting area is the focal point of every living room, salon, or a balcony. 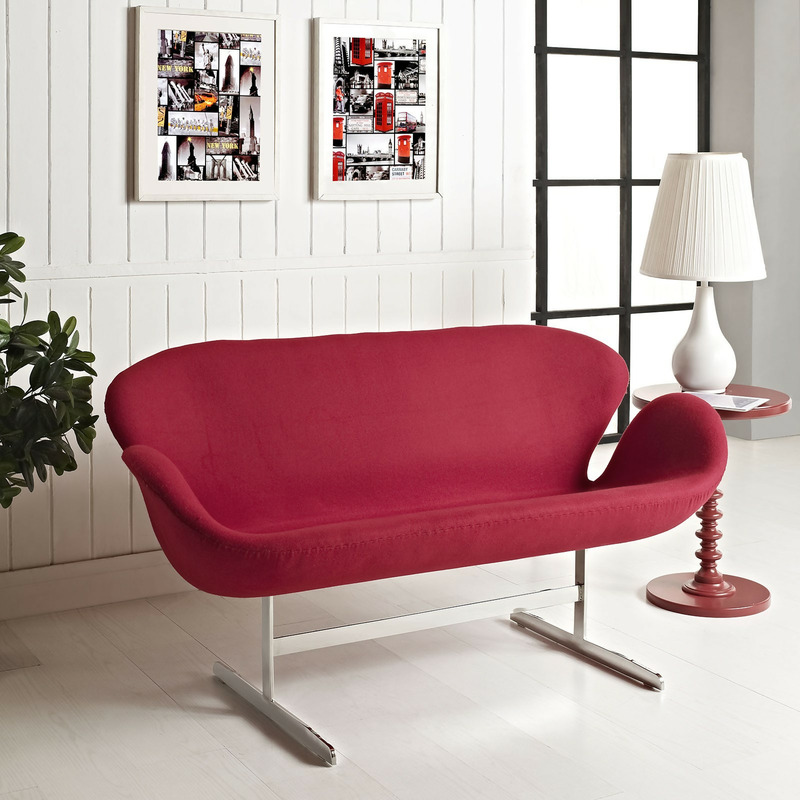 Combined with gentle red hues, the Swan Loveseat creates an impactful setting with a touch of refined elegance. It will become a staple of your personal taste while forming a cohesive, multidimensional interior. The Swan Loveseat wins hearts with beauty, but the useful value doesn’t fall behind either. The quality manufacturing that uses molded fiberglass shelling, customizable cushion seats, baby-friendly materials, and back-loving sitting angles all promise (and deliver) premium comfort. The sofa will be as comfortable to relax on as it is sophisticated to look at, which is one of the high points of the design. If you’re looking to pamper yourself with a luxurious design while being to take a comfortable nap, look no further than the Swan Loveseat!